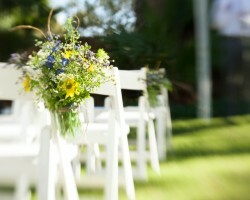 Kate is a great lover of beautiful flowers and has built a reputation as a leading local and destination wedding organizer. 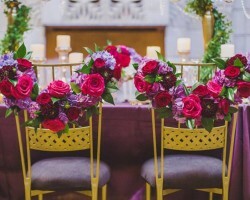 Kate has a background in interior design and is a top floral stylist in Scottsdale. 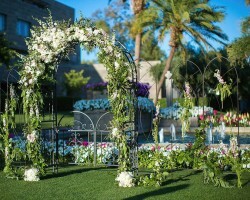 Her status as a leading floral stylist and her interior design background have earned her a somewhat of a local celebrity status in the wedding planning industry in Scottsdale. Kate sets out to share her passion with her clients and is capable of creating tastefully designed events that surpass client expectations. Amy Petrovsky is a seasoned wedding and party planner with over 30 years experience in events marketing and public relations. Her wealth of experience combined with her charm makes her one of the leading Scottsdale wedding planners. Amy offers her services through her event planning company Sensational Events. Through this company, Amy promises clients unique creativity and attention to detail coupled with a commitment to excellence. 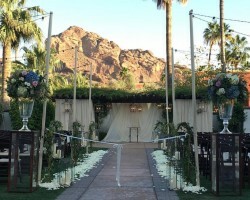 Amy can bring any event idea to live through her checklist of long-standing relationships with caterers, florists and other vendors in Scottsdale. The owner and lead planner at Your Perfect Day Weddings and Events, Christy, has been planning events since she was young. Hence, she boasts a wealth of experience and knowledge on event planning. A mother and a husband, Christy lives to bring smiles on brides’ faces. This optimistic event planner has worked with many couples throughout the Scottsdale area and is always looking for a new challenge. To bolster her company’s status as one of the best planning companies in Scottsdale, Arizona, Christy has employed an assistant coordinator who is as vibrant and talented as she is. 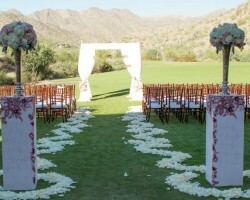 A true desert dweller, Angela Saban is a wedding planner in Scottsdale, AZ whose events exemplify Southern hospitality. As an events planner, Angela derives her inspiration from almost everything, from paintings to songs, but in particular from her clients. Apart from being an events planner, Angela is also an expert cake designer and a florist. Therefore, her business Angela Saban Design is a one-stop-shop you can ever find for everything a modern wedding requires. All these services are offered at an affordable price and are available to clients on a budget. Before the establishment of Some Like it Classic in 2010, Whitney had a career in events planning in CBS Sports. She also acted as an event consultant and coordinator for Athletes management professionals. Since she decided to venture into the business world, she has become a leading voice in the wedding planning sector in Scottsdale. In this regard, she has been involved in the planning of some of the biggest events in Phoenix. Whitney works with her co-founder and three other certified planners to bring client’s dreams and desire to reality.